The following 16 scholars, scientists, authors, and skeptics have been elected as Fellows of the Committee for Skeptical Inquiry. All have made major contributions to science and reason, critical inquiry, and public education, and are notable figures in a wide variety of scientific and scholarly fields, prominent writers, and investigators.  A full listing of current and past Fellows appears on the inside front cover of every issue of Skeptical Inquirer magazine and on the CSI Fellows and Staff page on CSI’s Web site. See the press release here. Atwood is a practicing anesthesiologist. He had been interested in pseudoscience for years, but became active after a conference at his own hospital advocated Therapeutic Touch, Guided Imagery, and other implausible practices as effective treatments for cancer. Shortly thereafter he became a member of the Massachusetts Special Commission on Complementary and Alternative Medical Practitioners, and in 2002 wrote its Minority Report opposing licensure for naturopaths. He has written extensively on implausible medical claims, including contributions to the Skeptical Inquirer, and has provided expert opinion to the Massachusetts Board of Registration in Medicine. He is a contributor to the Science-Based Medicine blog and an associate editor of the Scientific Review of Alternative Medicine . He is on the boards of Citizens for Responsible Care and Research (CIRCARE) and the Institute for Science in Medicine. He is particularly concerned with implausible claims being promoted, tacitly or otherwise, by medical schools and government, and by the ethics of human trials of such claims. Emeritus professor of philosophy, Sacramento City College, writer. Carroll taught in his college’s philosophy department for three decades (1977-2007) and served several years as chairman. He is creator of The Skeptic’s Dictionary Web site, which has 600 entries on topics ranging from acupuncture to zombies, as well as numerous essays, book reviews, and a blog ( Skeptimedia ) where he comments on media coverage of the paranormal, the supernatural, and the pseudoscientific. His book The Skeptic’s Dictionary: A Collection of Strange Beliefs, Amusing Deceptions, and Dangerous Delusions was published in 2003 by John Wiley & Sons and has been translated into several languages. His textbook Becoming a Critical Thinker was first published in 2000 with a second edition in 2005. Science writer, author, professor at the University of Southern California’s Annenberg School of Journalism. Cole has written mostly about physics and mathematics, since 1994 for the Los Angeles Times and before that for such publications as the Saturday Review , New York Times Magazine and the Washington Post magazine. She has been an editor at Newsday and for Discover magazine. She has also taught at UCLA and Yale. Her books include the best-selling The Universe and the Teacup: The Mathematics of Truth and Beauty, First You Build a Cloud. . . and Other Reflections on Physics as a Way of Life, The Hole in the Universe, and Mind Over Matter: Conversations with the Cosmos . Her most recent book, Something Incredibly Wonderful Happens , is a biography of Frank Oppenheimer, the physicist (and skeptic) who created San Francisco’s Exploratorium and who first stimulated her love of science. Professor, Department of Psychology, and head of the Anomalistic Psychology Research Unit, Goldsmiths College, University of London. French is editor-in-chief of The Skeptic , UK’s quarterly skeptic magazine (published by CSI) and a noted investigator of parapsychological and paranormal claims. He is a Fellow of the British Psychological Society. He is also a member of the Scientific Advisory Board of the British False Memory Society and of the Advisory Board of the Center for Inquiry, London. He has published more than 100 articles and chapters on a wide range of topics in psychology. His main current area of research is the psychology of paranormal beliefs and anomalous experiences. He is one of London’s most active skeptics, making frequent appearances on TV and radio and writing a regular column for the Guardian ’s online science pages. Chemist, Università di Pavia (Italy) and research fellow of CICAP, the Italian skeptic’s group. Garlaschelli has done major investigative work on claims of miracles. His duplication in the lab of the blood of St. Januarius, published in Nature in 1991, made worldwide news. He has investigated and duplicated weeping madonnas and has investigated other religious relics, including the Shroud of Turin (on which he wrote a book, and in October 2009 revealed a major undertaking during CICAP’s 20th Anniversary Congress: the first-ever reproduction of a life-size replica of the Shroud. See SI, January/February 2010). He is also expected to publish soon an investigation on the supposed miracles of Lourdes. Apart from miracles, as a chemist he has investigated, experimented, and challenged homeopaths and many other pseudoscientific claims. He learned from the late India skeptic Premanand how to be a fakir and during lectures and TV shows he frequently performs fakir stunts. He has also conducted investigations, many reported in SI, on spook hills, the Italian sword in the stone, petrified bodies, haunted houses, and on many psychics, both in the lab and out. Professor, School of Psychology, Victoria University of Wellington, New Zealand. Garry has conducted extensive research into memory, especially false memories. She is interested in how we can come to believe we saw or did something that we never did, and how we decide whether our memories are true or false. She has testified in court on the accuracy of eyewitness testimony and “recovered” memories of childhood sexual abuse. She is president of the Society for Applied Research in Memory & Cognition. Colleagues consider her an innovative experimenter and outstanding teacher. After earning her doctorate at the University of Connecticut, she worked closely with prominent memory expert (and CSI Fellow) Elizabeth Loftus. They published many papers together, beginning with a demonstration showing that imagining a hypothetical childhood experience causes subjects to become more confident the experience was real. Garry and her students have since advanced our understanding of social influences on memory, showing that placebos, aggression, and both true and fake photos can produce false memories. Retired family physician, writer, Puyallup, Washington. Hall (The SkepDoc) writes prolifically about pseudoscience and questionable medical practices. Many of her articles have appeared in recent years in the Skeptical Inquirer, for which she is a contributing editor. She also is a weekly contributor to the Science-Based Medicine blog. She also has a new regular column in O, The Oprah Magazine titled “The Health Inspector.” Her presentation to CSI’s The Skeptic’s Toolbox in August 2009 was “Tooth Fairy Science and Other Pitfalls: Applying Rigorous Science to Messy Medicine.” She received her MD from the University of Washington, did her internship in the Air Force (the second female ever to do so), and was the first female graduate of the Air Force family practice residency at Eglin Air Force Base. During a long career as an Air Force physician, she held various positions from flight surgeon to Director of Base Medical Services and did everything from delivering babies to taking the controls of a B-52. She retired with the rank of colonel. She recently published Women Aren’t Supposed to Fly: The Memoirs of a Female Flight Surgeon. NASA astrophysicist emeritus, science advisor to Center for Inquiry Office of Public Policy, Washington, D.C.
Jordan, a Rhodes Scholar, received his Ph.D. in physics and astrophysics from the University of Colorado and specialized in solar and stellar atmospheres. He joined NASA’s Goddard Space Flight Center in 1968 and served at different times as solar branch head, solar program office chief (NASA HQ), project scientist, international astrophysics monograph series coordinator, as well as research astrophysicist and senior staff scientist. In recent years he has become interested in science and public policy and recently became science advisor to CFI’s Office of Public Policy, advising the organization on science-policy matters. He wrote its position paper “Global Climate Change Triggered by Global Warming,” which became a much-commented-upon two-article package in the Skeptical Inquirer, and he recently spearheaded its Credibility Project investigation, also a reported on in SI. Professor of biology, Brown University. Nienhuys is a noted investigator of paranormal and pseudoscientific claims. A mathematician who formerly taught at the Eindhoven University of Technology, as well as a science writer and translator, he is also secretary of Stichting Skepsis, the Dutch skeptics group; editor of its publication, Skepter; and Web site editor for the Dutch Association Against Quackery. He is coauthor (with Marcel Hulspas) of a 488-page Dutch encyclopedia of pseudoscience, and wrote with his wife Cheng Shan-Hwei a book on the history and culture of China. Nienhuys has participated in numerous investigations, often in collaboration with others, and has spoken frequently at skeptic conferences. He was involved in investigations of the “Mars Effect,” a scientific study of astrological claims. See Benski et al., The Mars Effect: A French Test of over 1,000 Sports Champions (Prometheus 1996). Assistant professor of neurology, Yale University School of Medicine. Novella is president of the New England Skeptical Society and host of its popular weekly science podcast The Skeptics Guide to the Universe . His NeuroLogicaBlog covers news and issues in neuroscience, skepticism, and critical thinking. He is also founder and executive editor of the Science-Based Medicine Web site (sciencebasedmedicine.org), which examines in the light of science and skepticism unscientific and pseudoscientific health care claims that have infiltrated medicine. His article “The Anti-Vaccination Movement” led off a three-article cover special on myths and misconceptions about vaccinations and autism in the November/December 2007 Skeptical Inquirer. Field Memorial Professor of Astronomy and director of the Hopkins Observatory, Williams College. Pasachoff, a solar astronomer, has gone on 50 expeditions to observe solar eclipses. He is author or co-author of many books and textbooks in physics and astronomy, including The Cosmos: Astronomy for the New Millennium, A Field Guide to the Stars and Planets, Physics for Scientists and Engineers, Contemporary Astronomy , Invitation to Physics , and Astronomy: From the Earth to the Universe. He writes frequently for popular periodicals on science and astronomy. In recent years he has been teaching a course titled “Science and Pseudoscience” at Williams College examining alternative medicine, the misleading use of data, scholar hoaxes, public portrayals of science, science and religion, and other related topics. He is a Skeptical Inquirer consulting editor. Professor of philosophy, City University of New York-Lehman College. Pigliucci’s research focuses on the structure of evolutionary theory, the relationship between science and philosophy, and the relationship between science and religion. He has doctoral degrees in genetics, in botany, and in philosophy of science. He has published over 100 technical papers, and several books, including Denying Evolution: Creationism Scientism and the Nature of Science and his forthcoming Nonsense on Stilts: How to Tell the Difference Between Pseudoscience and Bunk. He is well known to SI readers for his every-issue column “Thinking About Science.” Pigliucci received the Dobzhansky Prize from the Society for the Study of Evolution and was elected a fellow of the AAAS “for fundamental studies of genotype by environment interactions and for public defense of evolutionary biology from pseudoscientific attack.” He is also editor in chief of Philosophy & Theory in Biology and associate editor of Biology & Philosophy . Plait created the BadAstronomy Web site, clarifying distortions and misunderstandings of astronomy-related topics. His books include Death from the Skies: These Are the Ways the World Will End and Bad Astronomy: Misconceptions and Misuses Revealed from Astrology to the Moon Landing ‘Hoax.’ Before becoming an astronomy writer and educator, he worked ten years on the Hubble Space Telescope. A term as president of the James Randi Educational Foundation ended December 31, 2009, and he is now at work on a science-related television project. Magician, CSICOP founding member, founder of the James Randi Educational Foundation (JREF). James Randi has an international reputation as a magician and escape artist, but today he is best known as the world’s most tireless investigator and demystifier of paranormal and pseudoscientific claims. Randi has pursued “psychic” spoonbenders, exposed the dirty tricks of faith healers, investigated homeopathic water and has generally been a thorn in the sides of those who claim supernatural abilities in order to try to pull the wool over the public’s eyes. He is a founding member of the Committee for Skeptical Inquiry, when it was established in 1976 as the Committee for the Scientific Examination of Claims of the Paranormal. He has received numerous awards and recognitions, including a Fellowship from the John D. and Catherine T. MacArthur Foundation in 1986. He is the author of numerous books, including The Truth About Uri Geller, The Faith Healers, Flim-Flam! , and An Encyclopedia of Claims, Frauds, and Hoaxes of the Occult and Supernatural . His lectures and television appearances have delighted — and vexed — audiences around the world. In 1996, the James Randi Education Foundation was established to further Randi’s work. His long-standing challenge to psychics now stands as a $1,000,000 prize administered by the Foundation. It remains unclaimed. Senior astronomer, SETI Institute, Mountain View, Calif.
For much of his career, Shostak conducted radio astronomy research on galaxies. He has become one of the most eloquent, effective, and energetic debunkers of pseudoscience. He hosts the SETI Institute’s hour-long radio program Are We Alone? , featuring the latest scientific research in cosmology, physics, genetics, paleontology, evolutionary biology and astrobiology. Once a month, as “Skeptic Check,” the program takes a critical look at UFOs, astrology, etc. Shostak received the Klumpke-Roberts Award of the Astronomical Society of the Pacific in 2004 in recognition of his outstanding contributions to the public understanding and appreciation of astronomy. He has authored 300 articles, and his books include Confessions of an Alien Hunter (2009), Life in the Universe ( 2001), and Sharing the Universe (1998).